Disclaimer: We provide information for investors and traders, but this should not be constituted as investment advice. Also, losses can exceed deposits when dealing with leveraged products. Please consult an investment advisor before making any decisions. Investing for long term savings is something almost everyone should start thinking about as soon as possible. Costs are increasing every year, and the interests rates from your bank just won’t cut it. Investment in the stock market can provide much higher returns on your money, but the stock market is volatile, and that can be stressful. There are a lot of barriers to people getting into the market, but even you have the time and knowledge to start investing. At CityFALON we aim to provide you with instrumental financial information to help you make smart investment choices. But before you start investing, there are certain steps you need to take and things you need to consider. Jumping right into investing is like trying to teach a child to swim by lobbing them in the pacific ocean during a storm. The best way to learn about the basics of finance is by steeping yourself in the financial world. Find stocks and securities you’re interested in, follow them, and learn all you can. See what analysts, influencers and the crowd say. While you’re looking into stocks and securities that interest you, you should also read into the more fundamental aspects of the stock market. There are innumerable articles out there to help you understand the stock market and teach you how to invest, and nearly as many books on the same subject. The sheer number of options and avenues to learn can be intimidating, but picking up some of the classics will absolutely enhance your understanding of the investing. “Rich Dad, Poor Dad” (2000) by Robert Kiyosaki is a great place to start. This book will help you understand the value of investing in a way that usually gets glossed over in formal education on the topic. Another book to consider is “The Intelligent Investor,” (1949) by Benjamin Graham. Graham is the father of value investing, and the former mentor of Warren Buffet. The book won’t tell you what stocks to pick, (probably a good thing, they’d be pretty outdated) but it does lay out principles of investing that still ring true nearly seven decades on. Warren Buffet has called the book, “by far the best book on investing ever written,” and it continues to pop up on nearly every list of important books for new and seasoned investors to read. It’s readable, concise, and has valuable information to consider on every page. For every book explaining how to use the stock market to optimize your savings, there’s a list of other books you should read. Read the summaries of books and find the ones that interest you. There is more information out there than you could go through in a lifetime, but all of it will give a deeper understanding of investing and the stock market. When you’re getting started learning about the market and how to invest, remember that by learning about investing, you’re playing the long game for your personal finances; it’s okay if you don’t understand everything right off the bat. Jargon and new terms that sound like an alien language will get tossed around, but you’ll pick up all of it as time goes on. Taking this first step is key to securing your financial future. Once you’ve familiarized yourself with the investment world, it will be tempting to jump right in. Don’t. First, look at your personal finances and figure out, after your cost of living and current debts, how much money you will be able to set aside to invest. This will mean learning which debts you need to pay in the short term, versus debts that investing might actually help you pay off, like a mortgage. During this step, keep in mind it doesn’t take an ludicrously large sum of money to start investing. As soon as you’ve got all that figured out, it’s time to set investment goals. Generally the things you need to consider are: growth of capital, safety of your assets and overall income. How you prioritize these goals will be unique to your investment situation. For example, a young person breaking into the stock market with tons of money will have a different set of objectives than an older person looking to secure a more comfortable retirement. One of the main factors you want to consider here is the safety you want in your investments. This will also be a good time to define your investment style. 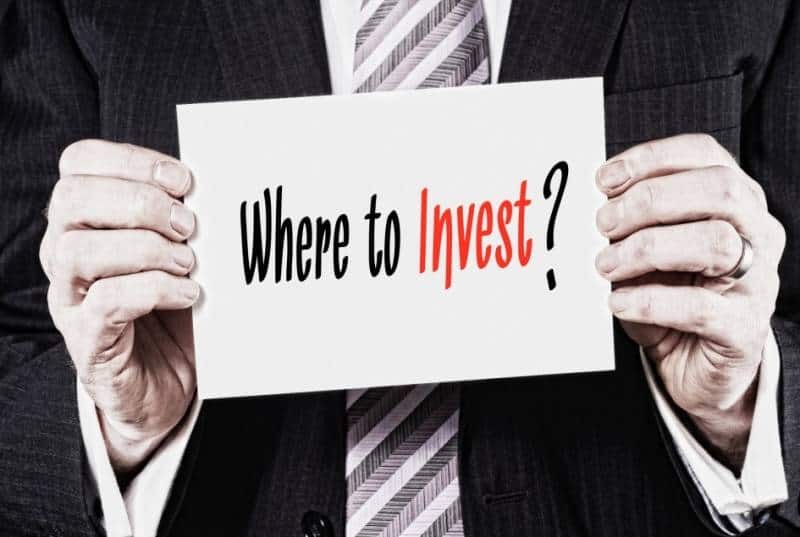 Typically, it’s best for new investors to take a conservative style, which means allocating about %75 of your investments in low-risk, fixed income securities, and putting the remainder into higher risk blue chip equities. If you’re of the more aggressive persuasion, you can look at moving %80 or more of your investments into higher risk equities. There are many other objectives and goals to consider as well, but these typically won’t come until you’ve been in the market for some time. Eventually, you will want to discern a tax minimization strategy, and determine the kind of liquidity you want in your stocks. How easy it is for you to turn your investment earnings into actual cash depends on the kind of investments you make, the policy of your broker, and your investment style. It’s impossible to set out a how-to-guide for your objectives, style and personal situation, because it will be totally unique to you, but if you want to invest long term successfully these are all things you must consider. While Wall Street analysts and traders have a by-the-book knowledge of the market they work in, they’ll lack much of the practical knowledge of the sector they are handling shares for. You will have an advantage if you take real world knowledge you’ve gained throughout your life. For example: If you’ve worked in construction your whole life, you will probably have a deeper and more sensitive understanding of the ups and downs a stock in that industry will go through. Stocks rise and fall for so many reasons, but understanding a certain sector and the basics of the market will allow you to take a two pronged approach as to when to buy and sell. Invest in industries you know and you’ll increase your chances of a successful portfolio. Once you have found a sector you understand, you should immediately start looking into the different industries within that sector that you have a grasp on. This is important for diversifying your portfolio (more on that later) and a great way to start thinking about branching into other areas you want to invest in moving forward. It’s important to note that just because you understand a sector or industry particularly well that doesn’t necessarily mean it’s the only option you should consider when you’re starting to invest. If you’re looking to invest in a sector that you don’t have a strong background in, it’s good to take some advice from step one and read up on it as much as possible. For instance, if you’re thinking of getting into the tech sector, but lack extensive experience, try reading “Bold: How to Go Big, Create Wealth and Impact the World” (2015) by Peter H. Diamandis and Steven Kotler. Even if you’re looking into a sector that does not have specific books on the best investmentment strategies for those industries, doing some research online and picking up few books can go a long way to giving you an edge. Before you pick up any stock, think about it the same way you think about any consumer good. Let’s say you’re looking to buy a new phone, and you’re trying to decide between the new iPhone with all it’s sleek and shiny features, but also considering the new Blackberry, which has less features, but costs less money. With any choice like this, you need to consider value for your dollar. Investing is exactly the same. Keeping the analogy, Apple has a market capitalisation of $700bn, while Blackberry is at $4bn. If you’re thinking of investing in either of these companies, you have to ask yourself questions like, “Will Apple continue to innovate, maintain its current customers and attract new ones?” and “Will Blackberry start to support Andriod?”. These are the type of questions you need to ask of any stock. Assuming you have both the knowledge of the market, and enough industry specific knowledge, you’ll be able to make an educated investment that works for you. This kind of consideration in fundamental to investing. It can be a little daunting, but there are many sources that can help. At CityFALCON, you can start by filtering which stocks you want to follow by creating a watchlist, like this one for Apple and Blackberry. The idea here is get outside of the stock market bubble. Stocks in the short term will rise and fall, but if you’ve put serious thought into why this will happen, and what makes this stock a strong investment, you’ll be more confident in yourself and your portfolio, and rightfully so. The simple truth is you can’t start investing until you have a brokerage account. Picking a broker is a lot like picking a stock; it takes a lot of time, a lot of reading, and a lot of consideration. You will need to find out what kind of broker best suites your needs as an investor. This will mean spending time figuring out if you want a regular broker, a broker-reseller, and after that figuring out if you want a full service broker, or a discount broker. For many people just breaking into the market, an online discount broker will be best for you. This still comes with reading into the broker and understanding the fee structure they employ. After all, they are taking some of your money, so it’s essential that you find out where it goes, what kind of features they can offer and at what cost. You’ll have to spend some time shopping around and figuring out which brokerage best suits you as an investor. It’s a good time to ask some of your friends and colleagues about their broker and the experiences they have had. Before you decide which brokerage to with, call them, get in touch, drop by their offices and see what you think. It’s important to call and talk to a few brokers, just so you have a better understanding of what’s out there and who best suits you. With any broker, you need trust and chemistry to feel comfortable moving forward, and the best way to do this is by getting a feel for the people you will be dealing with. After you’ve learned what kind of broker you need, sat down with a few potential brokers, and considered the costs of each option, you’re ready to choose. Make sure you will be able to meet the requirements of whichever broker you decide to go with. Almost all brokers will have a minimum balance to open an account, for discount brokers, usually somewhere between $500 – $1000, and require some information from you before you can apply to open an account. If you followed the advice above and already have your finances in order, it will be a pretty painless process. Finding a broker that works for you is an imperative step to starting to build your portfolio. Like your goals and style, the broker you decide to work with will need to suit your needs, and be highly specific to you. Luckily, there are a ton of resources online and elsewhere to help you choose a broker. On CityFALCON, we also help you compare your savings between brokers. Obviously, always knowing when to sell would make the best investor in the history of the stock market, but that’s not what we’re talking about here. If there is a fundamental change in the investment thesis sell, even if it means taking a complete loss. It will always be tempting to book profits when a stock has gained, and hold on to stocks when it’s falling, but a massive change in the investment thesis should always be an indicator to get out. For new investors, taking a loss can be scary, but it’s important to remember to focus on the long term. One small loss won’t kill your entire portfolio, and it will always be better to take a small loss than to hang on and take a much bigger hit in the future. Let’s think about Blackberry again. Blackberry was once one of the best mobile companies in the word, but after some time of dominance, competitors innovated past Blackberry, and the company’s stock started falling. Investors that held on to the stock after the company failed to develop a quality touch screen lost 85% of their stock value over the last five years. It will never be easy to predict these kinds of things, but it will always be better to notice this kind of change, and sell as quickly as possible when you do. Once you’ve done all these steps and have started investing, the last and continuing step is to review and adjust your portfolio. Investing isn’t a one off enterprise, and you shouldn’t treat it like one. Let’s say your stocks have been performing well over the course of the year, it might be the right choice to allocate more of your portfolio in that direction. If anything in your life has happened that makes you more risk averse, move some money to into more stable assets. As you earn more money through other means, invest more into the market. Learn more, read more, and find other sectors and industries you’re interested in investing in. This step will continue for as long as possible. Each of these steps are just a guideline, and this final step is the loosest guide of them all. This is when your investment style will mature and you will continue to learn about how get bigger returns on your investments. We might create some controversy here, but the more you do something the better you get at it. Why would investing be any different? When you’re starting to build your portfolio and you’re green in the market, you could risk investing money in the wrong places. Starting small will allow you manage your risks, and give you some time to become more confident before you invest large sums. Short term investments can result in high gains, but they’re typically high risk. Before you make any investment, you need to balance risk versus safety. For the best results, you want to look for investments that provide steady medium to long term returns at with a reasonable degree of risk. When you’re first starting out you should keep risks low and accumulate stocks as you go. This is especially important for new investors, because you will learn more as you invest. If all your investments are in one sector and an event causes stock prices to drop, you’ll find yourself in trouble. One innovation in a sector can totally disrupt your investments. To protect yourself from these kinds of disrupting factors, invest in a wide range of companies, industries, and asset classes. This will insulate you against substantial losses. So much of investing in the stock market is sold to new investors as a means to get rich quick, or making your money work for you, or some other platitude that doesn’t really mean anything. Investing isn’t a game, it probably won’t make you fantastically rich, and it takes work – especially if you want to do it properly. To invest is choosing to take a road that, with careful consideration, can make your future brighter and easier than it would be otherwise. It’s not all lamborghinis and champagne. It’s research. It’s securing financial stability in your future. It’s understanding how much risk you’re willing to tolerate, and how much time you can spend managing your portfolio. Investing is all of these things, but it’s also the best way to secure your finances for yourself and your family. No book or article will bestow upon you the knowledge of a totally successful investor. That’s the kind of knowledge that only comes with time and practice. You have the means and all the tools in front of you to get started today. following these steps will set you on the right path, and create opportunities for you down the line. I think your best advice is to start small after doing some research. Even if you know what you are getting into, and have done all the research on the stocks you’re interested in, there is no substitute for experience. The more you trade the better you will get, so make sure you start small so that any mistakes you make will be negligible. I’m glad that you mentioned starting small. It is the only way I can really start investing, and it is a good way to get a feel for the market. However, I also think it is a good idea to get a little help and advice about investing from a pro to help avoid making big investment mistakes. These are great tips! Thank you for sharing them, I totally agree with everything especially on the first part. Many of those who wants to invest are diving into the waters immediately without learning the basics at least. By reading and of course application of knowledge will one only find out how investing in stock markets work.